A succession plan can accomplish two vital tasks—provide continuity in the event you become incapacitated and transfer your interest in the business to the intended beneficiary in the event of your death. Without a succession plan, your incapacity can paralyze the business. With no one in a position of legal authority to operate the company, things could go south quickly. One factor or challenge, among others, is the time it takes to seek court approval to control the business. The time spent seeking judicial approval may not go quickly enough to prevent failure of the business. Your death can also wreak havoc on a business if you fail to plan ahead. For example, if your interest in the business is a partnership interest, your share may pass to a spouse or other beneficiary; however, the beneficiary may have no stake in the business and could wind up selling your interest for far less than it is worth. Worse still, a situation may arise where it is impossible to sell the interest, leaving your beneficiary with nothing and the business floundering. 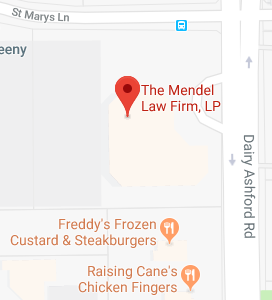 If you own a business of any kind or size, consider sitting down with one of our Estate Planning attorneys at the Mendel Law Firm, L.P., to help you determine what type of succession plan is best for your business. We understand that, often times, your business is like your child. Let us help you develop a plan to give it every opportunity to grow and flourish long after you’re gone.